QuranWow.com - Quran website with translations and recitations, in a mobile-friendly interface. The site is built using Web-2 technologies, providing ease of use, simplicity, and functionality. Quran text is displayed in parallel with a translation, providing a rich learning environment. 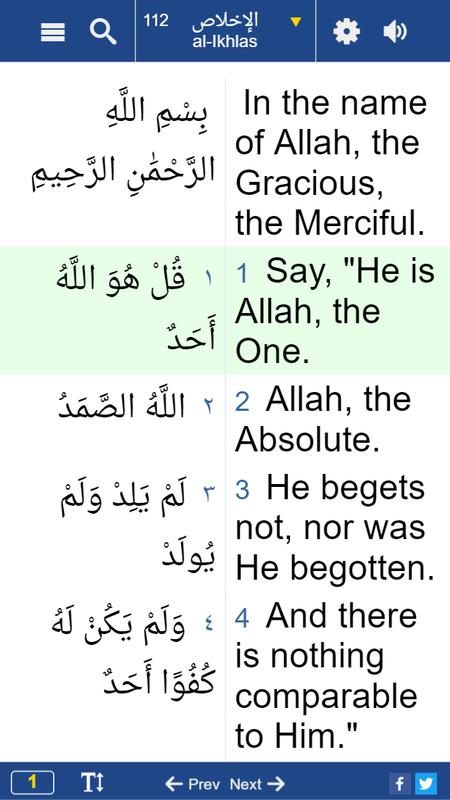 Clear audio by famous reciters is synchronized with the text. Intelligent search provides quick lookup. The website is optimized for mobile phones, tablets, and PCs. The user-interface adapts itself to the device being used. QuranWow.com is a joy to use. The Quran is provided in 44 languages, including Arabic, English, Urdu, Hindi, and others. Any two languages can be displayed simultaneously, either side-by-side, or row-by-row. Audio can alternate between Arabic and translation. QuranWow.com is a wonderful learning tool. With search, the user can enter one or more search words, in Arabic or translation, and locate the matching verses. The search engine understands the grammar of each of the languages, thus provides an intelligent search experience. Search operators, like AND OR *, enable forming complex search queries. The user interface is clear, simple, yet highly functional. Text size can be scaled up or down. Quran font can be changed. Dark colors for night-reading. 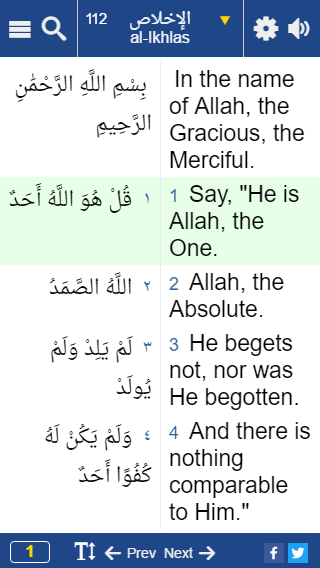 The user can jump quickly to an Aya or Sura, easily change languages, even set bookmarks. This is the Quran, in 44 languages, with audio and search, in a clear interface. QuranWow.com brings cutting edge technologies to the Holy Quran.